 As part of its strategic entry into Anglo-American market, oneclick platform UK, subsidiary of oneclick AG, gained membership of techUK. This not for profit organisation, works with IT industry and relevant stakeholders to provide advice and guidance on key technology considerations for today’s and tomorrow’s world. techUK believes in the potential of technology. Used well, technology can help to make the world a better place for everyone. Innovation lies at the heart of positive future developments for economy and society. The organisation therefore leads debates about technology and its potential impact on the future. techUK works with its members to identify and advance innovation in the key markets, broaden their network, build connections and deepen relationships with potential customers, partners and suppliers. Membership of techUK is a logical step for tech startup oneclick AG to help establish its subsidiary in the UK. oneclick™ is available as Platform-as-a-Service (PaaS). The platform allows the delivery of software applications from any server location as a stream into a central, 100% web-based workspace in the browser, irrespective if an application is run in an in-house data centre or if it is a cloud service of a third-party provider. oneclick™ includes the complete user and licence management for the connection to and delivery of centrally hosted applications to mobile devices. Using oneclick™, companies can reduce their IT costs, increase staff mobility, enable Bring-your-own-Device and raise security all at the same time. The not for profit organisation represents more than 900 UK companies, employing about half of the tech sector jobs. techUK affords unique insights on key issues to help members make more informed decisions and ensure a competitive edge in their markets.